I always like to try the local fare, and the “street food” of Singapore offers me so many choices that I sometimes lose sleep trying to decide what I’m going to have. Yes, I’m that much of a foodie. This weekend I am fortunate enough to be spending it back in Singapore with good friends and we’ve decided to go nearby for some “hawker” fare. 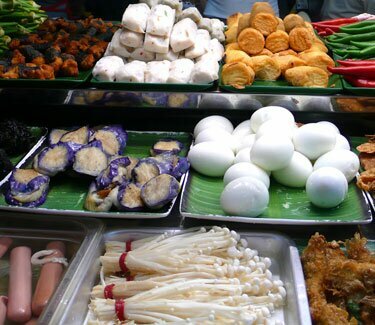 For those unfamiliar with Singapore or Malaysia, hawker food consists of open type stalls or restaurants of different varieties (like Chinese, Indian, Malay etc.) cooked right in front of you. Of course, this is not to say that the cooking is necessarily healthy or waistline friendly. In fact, most of the stuff is fried in oil, and since it’s gotta be served quick, there’s a LOT of oil involved. I just spent a little over two weeks on a vegan, low calorie diet and I didn’t want to throw it all the way. But, how to combine great flavor without packing on the pounds? and here is what I found (below) which I’d like to share with you. Wish me luck tonight as I head off to the hawkers! 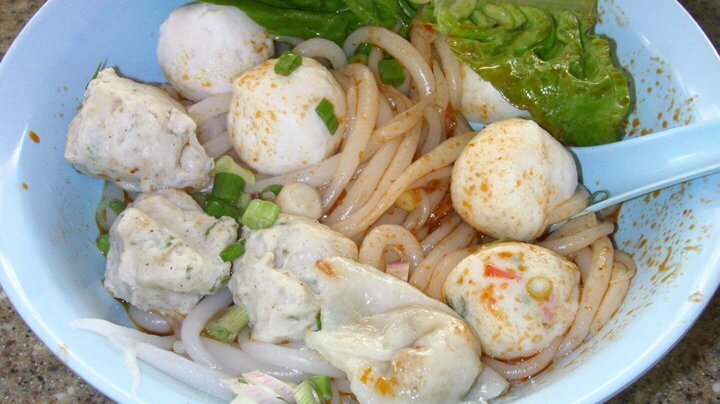 This is the list of the TOP 10 HEALTHIEST HAWKER FOOD options you can choose from when trying to manage your weight but of course manage you budget as well. In my opinion – the best and healthiest dish. Just make sure you select the fresh vegetables and don’t choose all the deep-fried options and completely blow it! It’s low in calories, carbohydrates and fat. 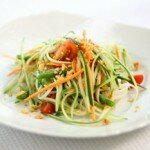 High in vegetables making it filling, nutritious and increases your intake of vitamins and minerals. 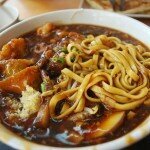 Don’t be tempted to fry your vegetables or get a laksa soup base – have them boiled in clear soup only. 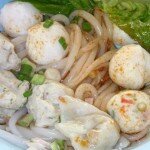 This dish has a surprisingly low amount of calories for a local dish! (even I was surprised) It’s because of the fact the thick gravy is from a clear stock that has corn starch to thicken it – also as it doesn’t have cream and too much fat it keeps the calories for the dish low. 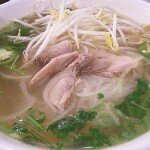 This dish is great and really yummy – don’t be scared by the green soup. (Note: you can eat the soup separately or mix it in with the rice to make it soupy) It contains the correct portion of rice (only a fist size portion), is loaded with green leafy vegetables and fresh ingredients. Is rich in fibre and antioxidants, contains little to no fat, nothing deep fried and there’s an option to choose brown rice. 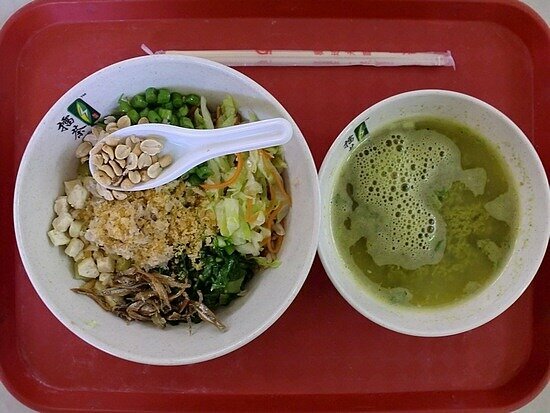 To make this dish healthier, choose the soup version of the dish so that the noodles aren’t fried. Drink the soup first, leaving the noodles to eat last. Always ask for NO LARD. Also, choose the bee hoon noodles (vermicelli) have a low Glycaemic Indix (Low GI) so will keep you feeling full for longer. Considering this is a salad, the larger amounts of carbohydrates come from the palm sugar and the fact that papaya is a fruit and contains sugar also. In saying this – it’s a much better option than cream based or deep fried meals on offer! 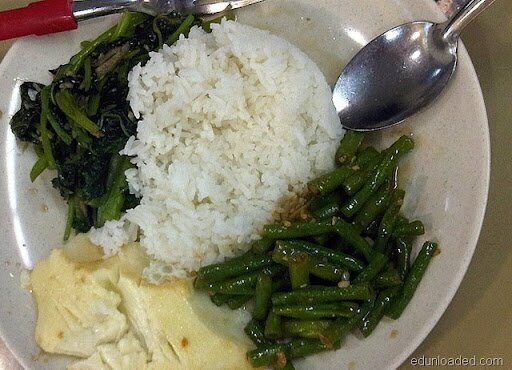 This meal is low in fat and high in fibre. 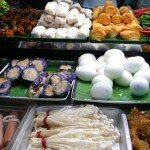 If eating Thai, you could also choose a Tom Yum Soup which is healthy too. 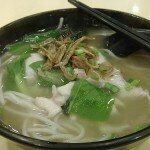 But be careful – the healthiest version is the clear fragrant broth that has had fish bones boiling in it to produce the wonderful flavour and thinly sliced pieces of fresh fish with loads of green vegetables. Beware – you can also find many unhealthy imitations that have deep fried fish, spilling over with noodles and lots of MSG as a flavour enhancer instead. So it’s always best to ask around for recommendations. 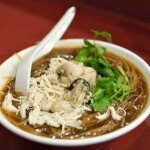 You can choose to have it with or without noodles – the lower calories option is without. 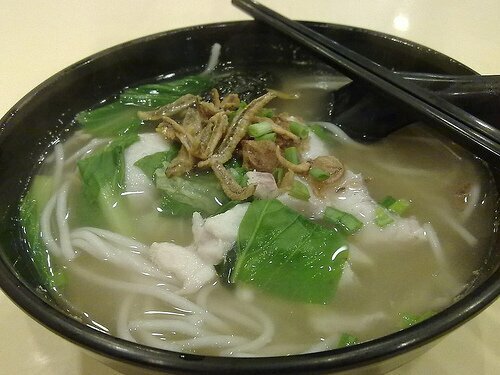 Some other options at the sliced fish soup stall are also good option such as the seafood soup. 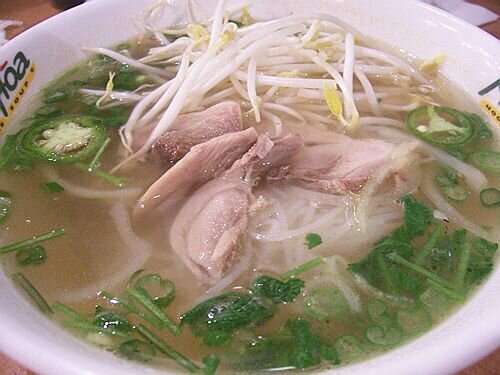 A clear broth will always contain less calories and fat than a creamy broth – however do note that often the broth has had chickens cooked in it, from which the fat from the skin has boiled out. Other than that, to really cut down on fat choose chicken over beef. 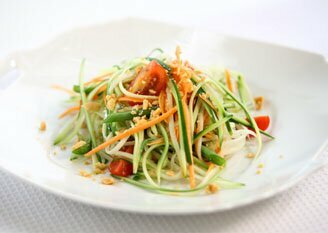 There is nothing other than fresh herbs & chilli to spice up this meal which of course adds little to no fat / calories. 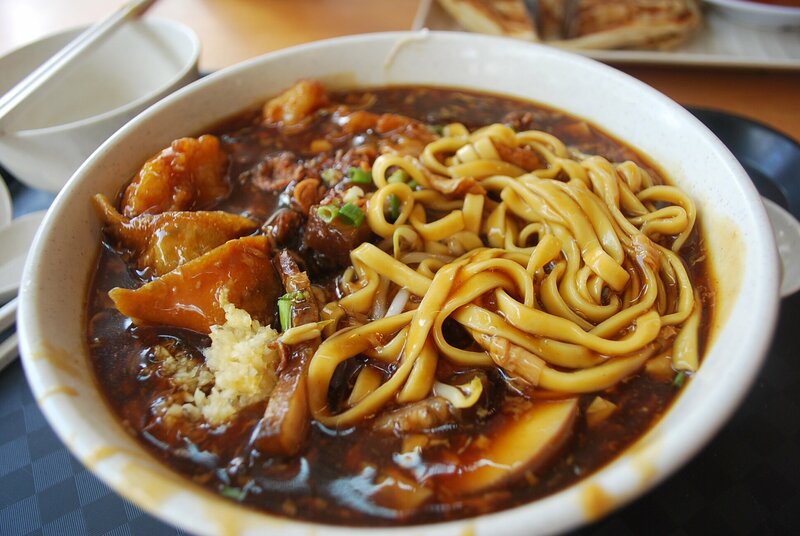 Another good tip is to drink the broth first, leaving the noodles until last and stop eating when you are feeling 80% full. 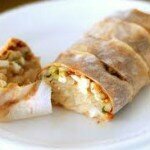 This meal is a protein dominant dish, low fat, low carbohydrate and low calorie. 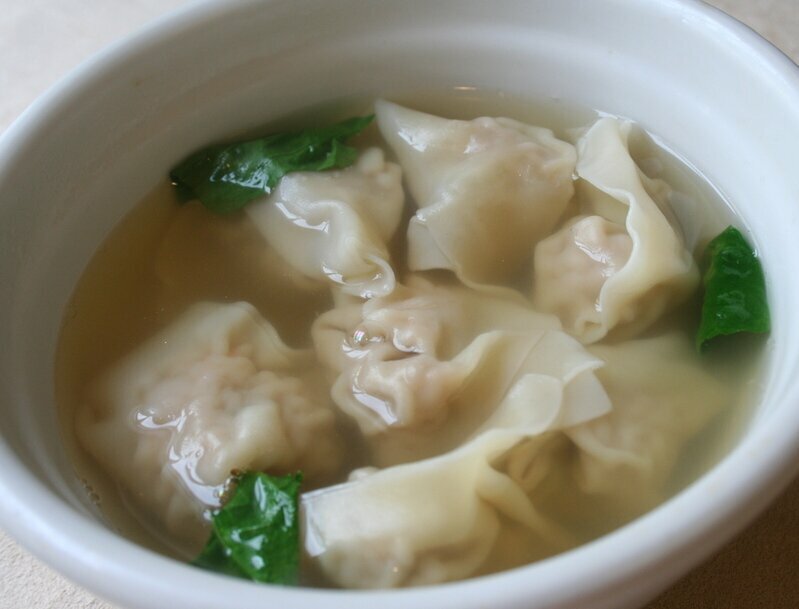 Note: Whilst it is low fat, it’s important to note that the filling inside the wontons is typically from pork or red meats that are higher in saturated fats. But on a whole, the fat and carbohydrate quantities are in good proportion to consider this a healthy choice. There really isn’t any indepth nutrition facts of Oyster Mee Sua available – there are only the average calories per bowl listed. Sorry – the amount of protein, carbohydrates, fat and sodium wasn’t available. 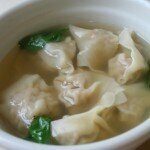 It seems that this soup also starts from a clear broth and is thickened with cornstarch. 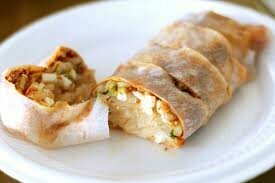 Popiah is a type of fresh spring roll filled mainly with grated turnips and also can contain prawns, egg, peanuts, chinese sausage and other greens. Make sure you ask for no lard which will lower the fat content. If you had 2 rolls this would still be a healthy option and more filling. 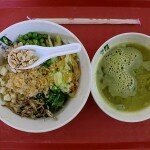 One more notable mention – and this is only because this meal choice is found in every hawker stall. 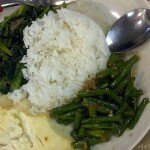 Try to half the portion of steamed rice (fist size portion only). Choose more vegetables than meat, don’t choose fried dishes (meat or vegetables), choose braised options instead, opt for clear broths before creamy ones. Eat slowly, put your utensils down between bites and always stop when you feel 80% full because it’s better to waste it than to ‘waist’ it.